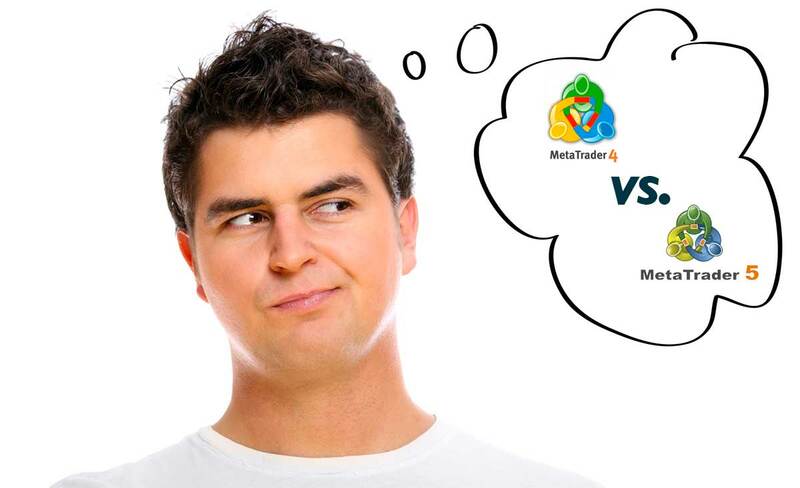 Illustration: Metatrader 4 vs Metatrader 5: Which should you choose? A freshman trader on the Forex will easily get lost amongst the many online offers available, and for most of us, the terms MT4 and MT5 are just meaningless letter and number combinations. MT or Metatrader is a Forex trading platform released by MetaQuotes Software Corp, a Russian company which specialises in software development for financial markets. MT5 replaces MT4. Metatrader was conceived essentially for individual traders, and many traders also offer their own version of the MetaTrader platform. A prominent online platform for investors, the software allows traders to speculate and to take advantage of fluctuations and changes in the rates of the main international currencies. Popular with experts as well as freshmen traders, MetaTrader benefits from its own programming language called MQL, allowing traders to test Expert Advisors, to access trading histories or other trading-related data, as well as offering signal indicators for individual use or to share. Although Metatrader 4 et 5 look similar, there are some differences. Designers of the new platform have striven to make exploring easy, and Metatrader 5 has larger, wider spread keys. On the downside this results in smaller graphs than on Metatrader 4. Some users have also complained about the Fibonacci tracing tools which are not as accurate as expected. Many traders resent the fact that the new Metatrader 5 platform does not support Hedging nor multi-Hedging. Hedging is a tool which many traders look for when choosing a trading platform. The issue can be solved with extensions (plugins) allowing hedging support with the new Metatrader 5 platform. Although this works, most traders would rather not have to resort to it. - Variable index dynamic average. - Double and triple exponential moving average. These new, more advanced indicators enable traders to test a large range of trading strategies. Traders should also be aware that Metatrader 5 has rearranged the categories of expert traders to make it easier for you to find the indicators you need. 3 types of brokerage transactions: Market, Instant, On Demand. 4 types of brokerage transactions: Market, Instant, On Demand, and Exchange. 6 current orders: new orders, Buy limit. 9 stages for every financial tool. 21 stages for every financial tool. Emails can alert you of events. Emails or text messages can alert you of events. MetaBrokerage 4 the platform is made of only one server component. Metatrader 5 brokerage platforms include several server components improving performance and system error correction. The online platform is compatible with Microsoft's 2002 Pocket PC and all posterior systems. The online platform works on iPhone systems. Changing from MT4 to MT5? Le MT5 offers features unavailable with MT4, such as graphs, more advanced analytical tools, and a wider range of trading time limits such as 2 minutes or 8 hours. Metatrader 5 also makes brokerage more flexible by offering new instruments and market techniques. Although MT4 and MT5 were developed for the same task, they do slightly differ, and they offer different features, with pros and cons for traders and Forex brokers alike. Most Forex traders, especially newbies, found MT5 disappointing, and would rather stay with the older version. The MT4 platform remains the most popular overall and this will not change unless MT5 starts offering features MT4 users seek.